The Steam Christmas sale will come hot on its heels, starting on December 22nd at 10 am and ending on January 4th at 10am. Some newer and hot games will come to Steam at lower price. Besides, we tested and find a China VPN will give even cheaper price for Steam items. Top games will still be highlighted on Steam's front page for 24 - 48 hour spans, but those that are highlighted will stay at their most competitive discount, before and after its featured. Just as important as what's on the front page are the games with huge discounts on holiday: talking in the realm of 70%, 80%, even 90% off. You can go through for hours and find plenty of games at knock-down prices. Below is the first round of Steam sales for the holiday sales - Exploration Sales. Besides the holiday discount for Steam games, we can also get cheaper price via using a VPN. 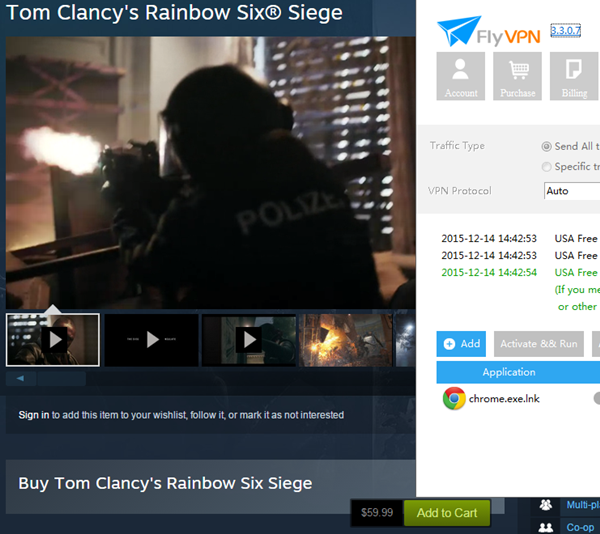 Take the new game Rainbow Six Siege for example, by switching my IP address via VPN service, I checked the price set for different regions on Steam, and find I can get a lower price - ￥248($38.39). Compare to the price $59.99 (get with an American IP), it saves about $21. 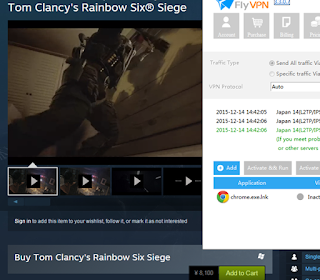 Player who ever buy games on Origin with VPN must be familiar to this method. But some games are region-locked, such as a new item - LIGHTNING RETURNS: FINAL FANTASY XIII. Final Fantasy games are region-locked and run-time locked, meaning you'll have to be in the country of purchase to play them. It's unavailable in China, so you are unable to lower its price through a China VPN. 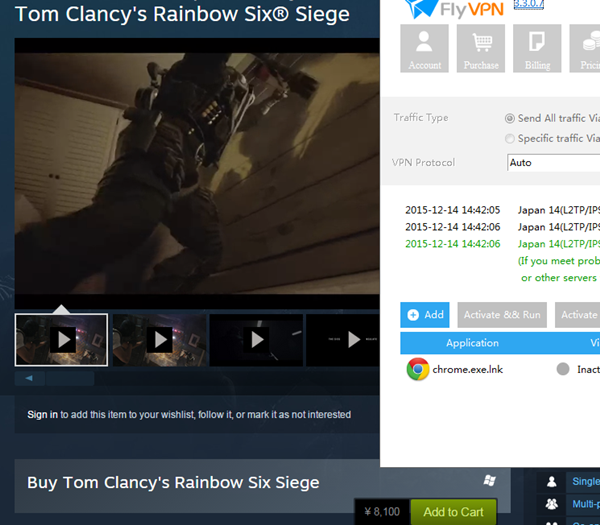 What's more, if it's blocked in your region, you need to change your IP to unblock it. 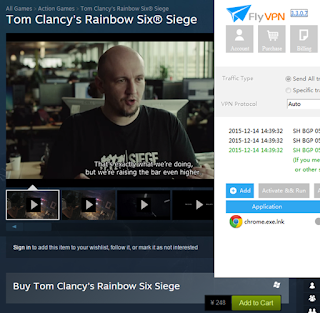 If you want to buy a VPN, don't miss the Xmas VPN discount.